With the invention of online that focus of multiplayer has moved from the couch to internet. Nintendo is known for continuing the tradition of making strong local multiplayer experiences but what about Sony. While there are fewer games out there that do support local multiplayer, even less are worth having some friends over to play. Today we will highlight some of our favorite local co-op multiplayer experiences on the PS3. If you are looking for a good time with some friends check them out. 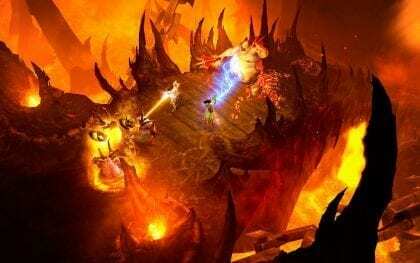 Diablo is one of the best action RPG series. This dungeon crawler got even better with the third entry in the series. You have 7 classes to choose from and each one of them can be a pleasure to go through and enjoy. The multiplayer and cooperative aspect is what shines in here. They allow you to play the game with a friend and the enemies will scale in power based on how many people are playing. It’s actually a system that makes a lot of sense for cooperative gameplay. there’s a ton of loot in the game. You have experience levels and a plethora of customization options too. If anything, this makes the game really intense and fun, not to mention very comprehensive and enticing at the same time. The game worlds are nicely done and you get that sense of adventure each time you play without a problem. They have a random level generator and random encounter generator here in order to make things easier for you. Playing Diablo 3 in multiplayer is a blast. The game is interesting, fun and intense. It’s the type of game that only gets better and better each time you play. It’s really adicting, unique and fun at the same time. Plus, it’s an experience that you will enjoy more when you play it with friends, so you should check it out. 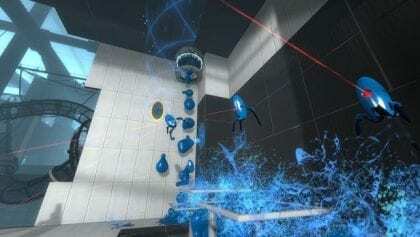 Portal 2 is a puzzle game where you and a friend need to create portals in order to complete various tasks and complete a level. You have a variety of unique items inside the game, such as bridges, laser redirection, tractor beams and so on. The idea here is that you need to use the environment inside the game in order to complete the levels as fast as possible. The atmosphere is fun and intense. The title does a really good job at offering great gameplay ideas that only get better and better as you go along. Every level is a puzzle with multiple solutions, and with each new level comes new elements that greatly expand to make the gameplay more fun. But the true benefit is that you can play with friends. This is a great opportunity to challenge both of your minds and cooperate with one another in order to win. It definitely works the way you would expect, and that’s exactly why you need to give this a shot, as it’s really special to play. k about cooperative games without mentioning Castle Crashers. This is a great side-scrolling game where you battle evil exploring a fictional world all on your quest to save the princess/princesses. 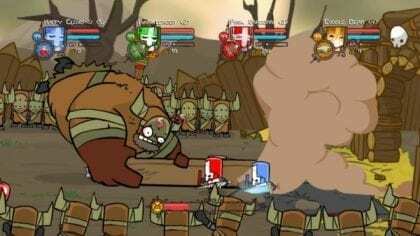 While you can play on your own, Castle Crashers does deliver a great single player experience but if you pair up with a few friends, it is a, much better adventure. There are unlockable characters, weapons, powerups. and tons of humor with surprises around every turn. The cooperative gameplay here is really good, with perfect game mechanics and plenty it is a through back to the great multiplayer Beat ’em ups of the old arcades.. There’s no friendly fire, so you and your friends can spam buttons left and right in order to win the game. The entire experience is a sheer pleasure in multiplayer and the fact that you can revisit levels with better gear to acquire even better loot is even more interesting. 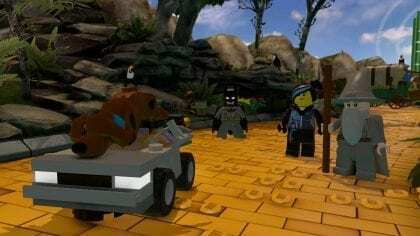 Lego Dimensions is a great RPG game in the Lego Universe where you explore various worlds and try to use a variety of abilities in order to win. Each of the levels comes with its own set of features and great locations for you to explore. The gameplay is a diverse mix of platforming and puzzle solving. They did a great job including 14 story levels from favorites such as Batman, Lord of the Rings, Scooby Doo, and more. Each character has different abilities and you will need to cooperate with a friend to get through. It’s a fun and funny experience that has unexpected plot twisted at every turn. Lego Dimensions does deliver. Like all Lego games, there is plenty of loot and plenty of secrets to explore. There have been several expansions that consist of actual physical Lego and allow you to get more characters vehicles and even levels from franchises such as Ghostbusters, Adventure time, Dr. Who and More. It Easy enough for a kid but fun enough for an adult. Who doesn’t like Lego? 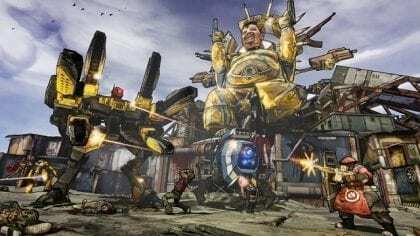 Borderlands 2 is a great role-playing game that features a wonderful, unique gaming system and a very interesting, iconic gameplay. The story is very in depth on its own, being unexpectedly long for what it is. The multiplayer play maybe the best out of the cooperative games on this list because it’s intense non-stop action. With plenty of loot and a focus on fun, you can pick up and play for 5 minutes of 5 hours. You even can transfer items between characters. If you like the idea of accessing unique features and mechanics, this is the right game for you. The missions are versatile and unique, not to mention the uniqueness of the entire game as a whole. It is an experience you won’t get elsewhere. This entry was posted in Blog, PS3 and tagged coop, Multiplayer, PS3.